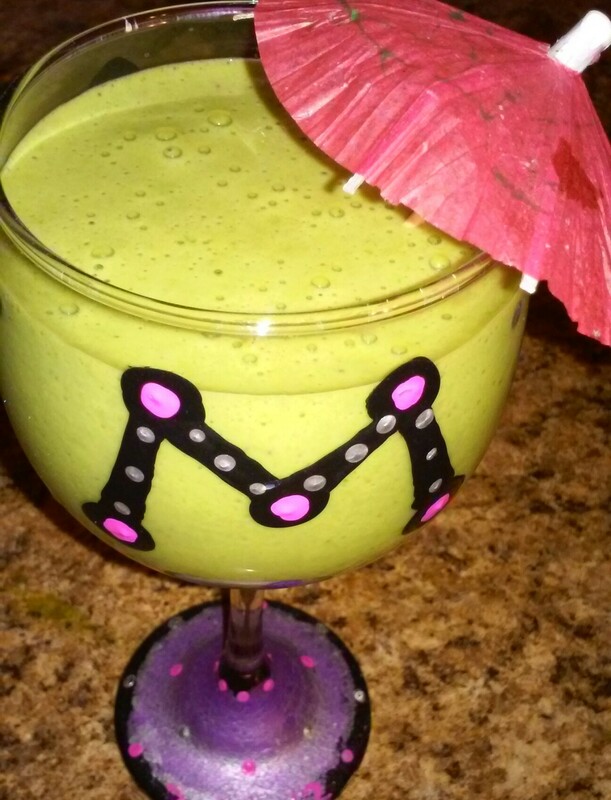 Unsweetened Vanilla Almond Milk, 1/2 banana, spinach, kale, protein powder, frozen strawberries, mango, papaya and a pretty umbrella! ☔ Enjoy!! !